Things have changed for the New Year, for both the good and the better. Twenty-nineteen marked six months of being a full-time entrepreneur. Six months - wow. It hasn’t all been pretty, but it has all been worth it. And so far, I’ve succeeded in my goal of keeping a roof over my head and keeping my cat fed. I have learned a lot in reaching this business milestone. I have a better understanding of what’s working and what isn’t for my empire. I know what projects bring me joy (in the words of Marie Kondo) and what bring me too much overwhelm and stress without enough payoff. And I’ve become prepared to launch a business I hadn’t planned on fully launching - but more on that later. One shift in my business is the focus and set-up of In A Sequoia. The content on the blog (aka, what you’re reading now) will begin to focus more on reflections and a look into my life as a serial entrepreneur. This will be storytelling heavy, and showcase some of those unforgettable moments as my businesses grow. The Boldly Vulnerable Series will shift to a once a month podcast featuring one-on-one conversations with myself and other inspiringly vulnerable humans. I’ll probably keep testing video for it here and there, but I really have to be honest with myself on the cost/benefit analysis on that one… it’s just not quite there. But one of my favourite things to do for the In A Sequoia tribe is creating valuable, usable resources and tools that are designed to tangibly support your creative empire goals. And #TheSequoiaLife newsletter is going to be jam-packed with exclusive toolkits, worksheets, and more to support you in building your empire. Join this VIP list to receive exclusive content that empowers you to live boldly. And you receive my 10 Tips For Balancing Your Mental Health and Owning a Business once you sign-up. To give you an example, just for subscribing to #TheSequoiaLife you’ll get access to 10 tips for balancing your mental health and owning a business, a downloadable guide to help you nourish both aspects of your life. It's no surprise that entrepreneurs are more likely to experience mental illness than the general public. 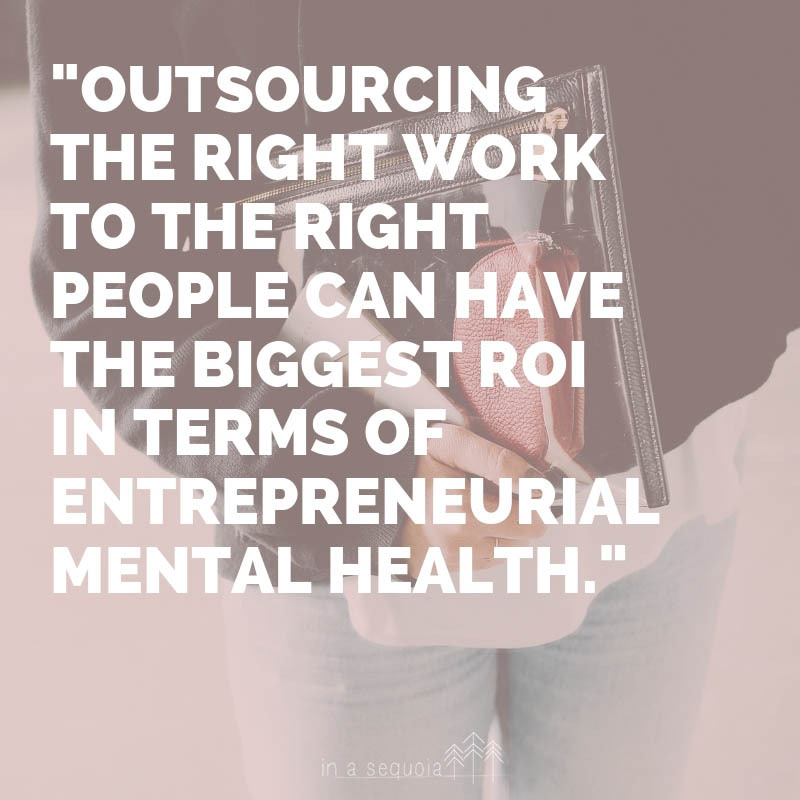 In fact, mental health concerns have been reported across 72% of entrepreneurs, compared to 7% of the general public. Whether you're already a business owner or looking to start one, you want to get your hands on this. The next thing I have to plan is what events In A Sequoia will host in the coming months. I have one in mind that I am super excited about, and I’m almost ready to start reaching out to event partners for it. I don’t know if I’ll be hosting another Boss Babe Brunch this year, but you can expect more panel conversations and smaller community building opportunities. If you aren’t already subscribed to #TheSequoiaLife, get on it! And when you are, I want to know what resources you’d like to see sent to your inbox, completely free. Slide into my Insta DMs or leave a comment below.